Facebook has finally rolled out their version of a timeline page for brands, so it’s time for a template! With this template, you can quickly create a well-composed Facebook presence for your brand that uses the cover photo and the profile pic together for a stunning effect. Unfortunately, Facebook makes aligning the design a serious pain. The profile pic gets shrunk down during the uploading process, but even more annoying is how difficult it is to locate the profile pic. To save you a wasted afternoon full of a few choice words aimed at Facebook developers (more than likely accompanied by a massive headache), use the following template and instructions to brand your Facebook timeline much more quickly and easily. 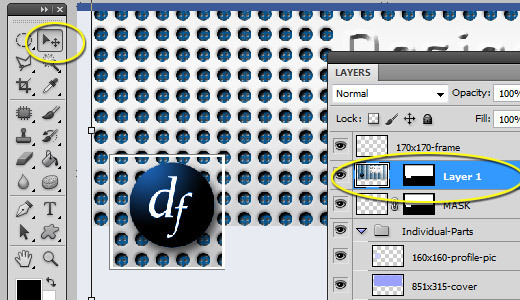 First things first, you need to download the template for the Facebook timeline and open it up in Photoshop. 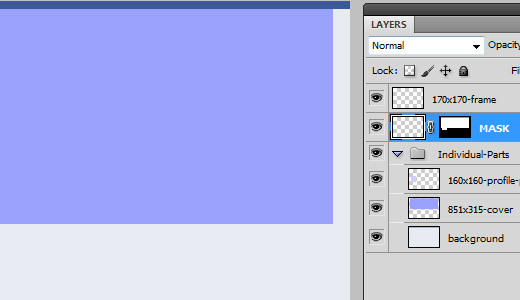 You’ll see the handily-labeled layers and the Facebook brand colors already in place. The only areas of the timeline we will be discussing are the cover photo (the large, banner-like area over the top of the page) and the profile pic (the small graphic in the bottom left of the cover area). The cover photo is 851 x 315 pixels, so design your idea accordingly. The profile pic is 170 x 170 with a 10 pixel border and a 1 pixel drop-shadow/stroke effect. You’re stuck with the border and drop-shadow/stroke. Sorry. For many, this will be the most difficult part of this tutorial. Good news: it gets easier from here. 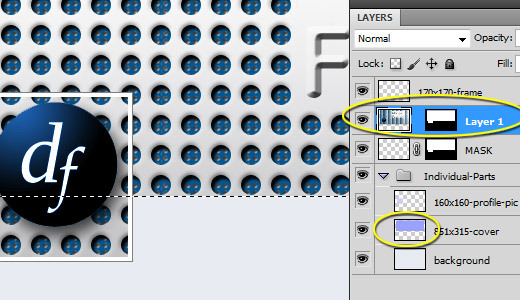 Now, you can simply use the Move Tool with the layer you just pasted to position the design as needed. 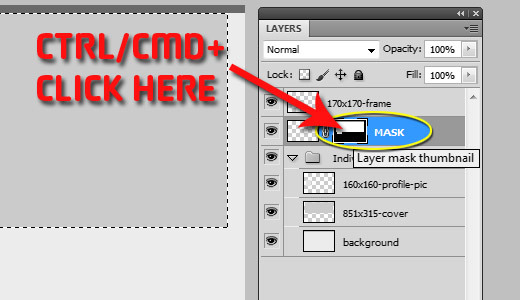 With your pasted layer selected in the Layers palette (my “Layer 1” below), CTRL/CMD + Click the “851×315-cover” layer to select the cover photo area of the template. 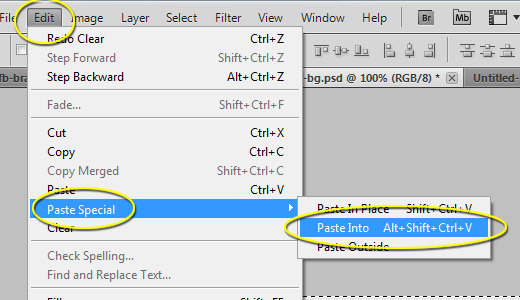 Hit CTRL/CMD + “C” to copy this selection, open a new file with the dimensions of 851 x 315, and paste your selection (CTRL/CMD + “V” or “Edit” > “Paste”). Save your selection to a convenient location. Now you have a cover photo at the exact dimensions that you need for your Facebook timeline. 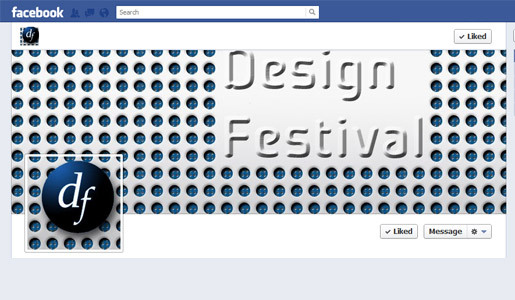 Your cover photo may end up with a half cut-off logo like mine. To avoid this, you’ll need to approach Step 6 a little bit differently. 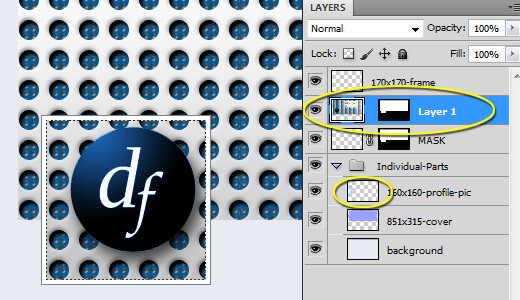 You’ll place a cover photo into the template that doesn’t have the logo or design in the profile pic area and do Step 6. Then when you go to Step 7, paste the complete design. Alternatively, put two layers into the template by repeating Step 4, aligning them, and hiding the profile pic area when you perform Step 6. This is where things get a little bit tricky. 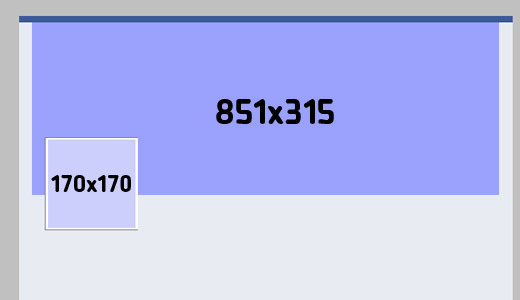 Facebook requires a minimum size of your profile pic to be 180 x 180px. You may notice that I’ve got a 160 x 160px selection area. That’s because Facebook will shrink your 180px down to 160px. It’s truly annoying, but that’s what we’ve got to work with. 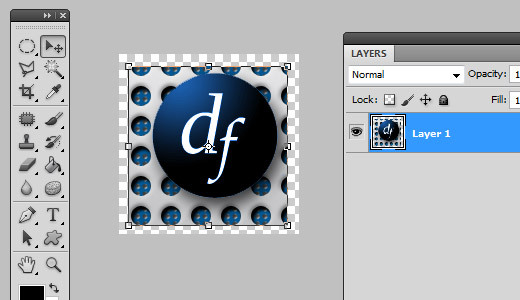 Using the Move Tool, Shift + Drag it to fill the layer. Save it and you’re ready to go. Click it and choose Upload Photo. Navigate to where you saved the cover photo and upload it. You won’t have to reposition it because it’s perfectly sized already. 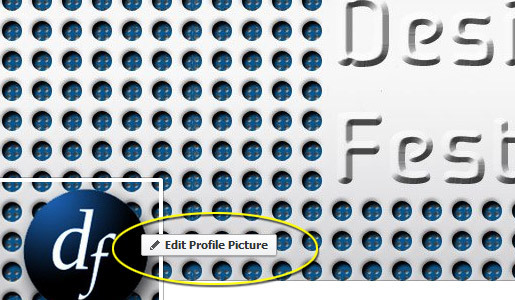 Hover over the profile pic area and click the “Edit Profile Picture” button. Select “Upload Photo” and choose your profile picture (that’s 180 x 180, but it will render as 160 x 160). That’s it! You’re all set! 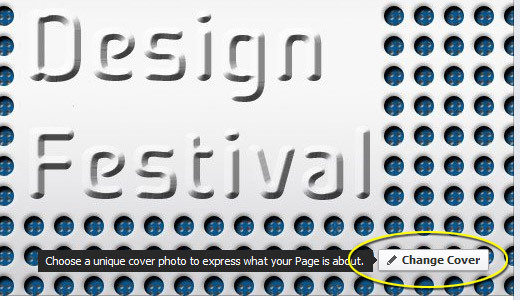 Your page is now branded with your profile pic and cover photo matching and sharing a coordinated design. Now, send me the links to your FB brand page in the comments to show off your work!